He truly was a role model as he not only preached these words, he acted upon them to the best of his abilities. This is the reason this Foundation was started—to mentor and coach youth as to how to live abundantly in all areas of their lives, no matter who they are or where they come from. Bob was recognized as a leading sports writer in the Metro-East area and a supporter of youth sports activities. He was born in Belleville, IL and graduated from Althoff Catholic High School in 1967 and received his degree in mass communications-journalism from Southern Illinois University-Edwardsville in 1971 and a degree in Education from SIUE in 1990. He worked as a sports reporter for the Metro-East Journal from 1966 until it closed in 1979. During his career, he was also a freelance reporter for the St. Louis Post-Dispatch, KMOX Radio and the Suburban Journal newspapers. Bob served as the editor for the Redbird Review newspaper in the early ‘80s. 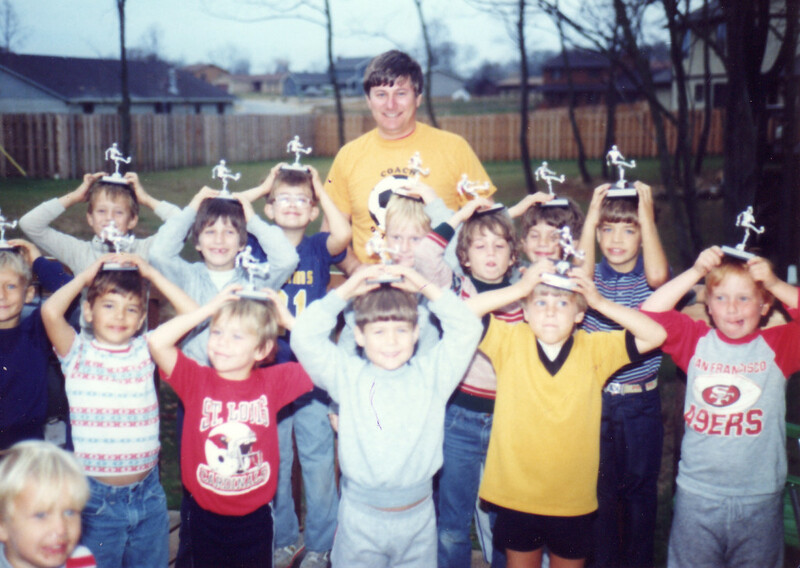 Bob coached youth baseball, basketball, and soccer, including the Goalbusters, which became one of the Metro-East’s most successful select boy’s teams. He also coached freshman and JV at Althoff Catholic High School, Belleville, IL. He originated and ran the Annual Tournament of Champions soccer tournament from 1987 to 2000, raising thousands of dollars for youth teams. He served as Athletic Director at SS. Peter and Paul Catholic School, Collinsville, IL, from 1993 to 1998 and also served the same position years previous at St. John Neumann Catholic School, Maryville, IL. Since 1994, Bob worked for the Prairie State Games, Illinois’ largest amateur sports festival, as the Director of Competition. In 2001, he was named to the Illinois High School Basketball Association Hall of Fame for his media contributions throughout the years. Bob was also a Lifetime Honorary member of the Baseball Writers’ Association of America.